Established in 1977, Cumbria Kitchen & Bedroom Furniture hand crafts bespoke furniture for the home, as individual as you are. Here in our Carlisle workshops we create exquisite furniture from the finest materials & woods using timbers from well managed sustainable forests. The possibilities are unlimited because we use a variety of materials such as Pippy Oak, Oak, Sweet Chestnut, Walnut, Ash, Maple, Tulipwood and other species of timber. Work surfaces include Staron solid surface worktops by Samsung, Granite, Solid Wood and Silestone. Our furniture handle choice is unlimited as they are individually selected to suit your style. Four decades ago, we crafted only traditional furniture, but over the years we have expanded our portfolio to include all styles of contemporary and modern kitchen and bedroom furniture. 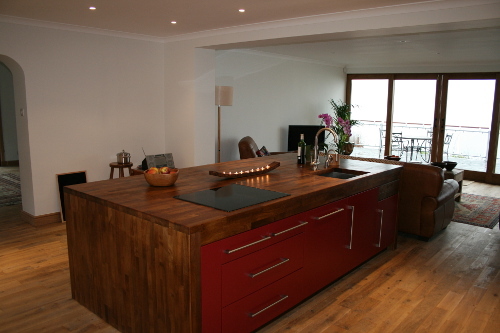 As with our kitchens the choice of materials and styles are virtually unlimited. Even the trickiest chalet style bedrooms with sloping and angled ceilings or rooms with old chimney breast’s pose no problem to our design and manufacturing team. By utilising either light timbers like Maple or Tulipwood or Pastel colours even badly lit rooms can be brightened up. We provide a comprehensive design service, from concept to completion. Throughout our thirty years in the furniture business, we have placed the highest priority on giving customers a top quality product, combined with reliable, dedicated service and excellent value for money. All our fitted kitchens and bedrooms are created to the highest quality, with design, style and practicality second to none. All our craftsmen are fully trained and have spent many years in the bespoke furniture industry and work very closely with our designers to make sure everything is achievable. 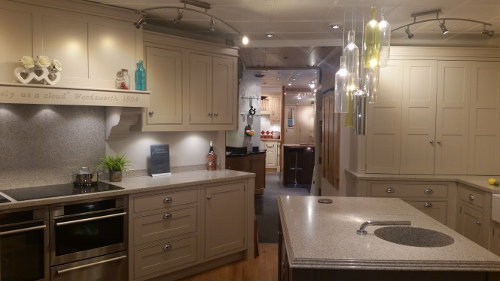 Our showroom is situated in the “City Of The Lakes” - Carlisle, which has a very rich and tempestuous history. We have a vibrant showroom in which we are very proud to display our handmade framed and non-framed furniture from timber finishes, hand painted, coloured lacquers and much, much more. Our showroom is also home to a selection of leading appliance manufacturers from around Europe, including AEG, Electrolux, Zanussi, Ilve, Britannia, Quooker, Shaws, Hafele,Villeroy & Boch, Peggler, Adobe, Perrin & Rowe, etc. Our in-house designers work with you to bring your aspirations to reality. 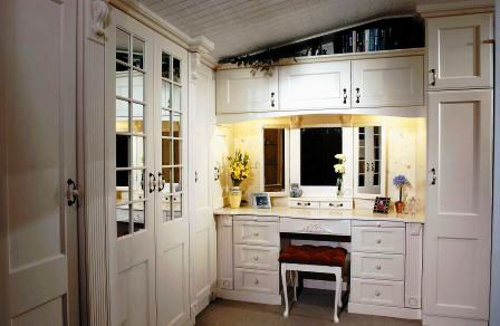 The same craftsmanship used in our kitchens extends to our bedrooms, home office, and bathroom furniture. Our design service takes projects from concept to completion. We have established a very good reputation for attention to detail which is second to none. We have over 39 years of experience in cabinetry and bespoke furniture, allowing us to create original features which can be tailored to suit your individual needs. The entire team at Cumbria Kitchens and Bedroom Furniture strive to provide a service second to none and over the years have manufactured 1000’s of bespoke kitchens and bedrooms designed to order, and installed throughout our local area encompassing towns and villages in the North of England, Appleby, Barrow in Furness, Brampton, Carlisle, Cleator Moor, Cockermouth, Dalston, Egremont, Haltwhistle, Kendal, Keswick, Kirkby Stephen, Maryport, Penrith, Seascale, Ulverston, Whitehaven, Windermere, Wigton, Workington and in the South of Scotland, Annan, Canonbie, Castle Douglas, Dumfries, Ecclefechan, Galashiels, Gretna, Hawick, Lockerbie, Lochmaben, Moffat, Selkirk and Thornhill. So wherever you live in the North of England or the South of Scotland we offer a No obligation design service coupled with a complete installation service. Why not visit our extensive Carlisle showroom and workshops or give us a ring to discuss your requirements on 01228 538688 right now! © Copyright Cumbria Kitchen and Bedroom Furniture 2007 - Cumbria Kitchen and Bedroom Furniture with full bespoke showroom in Carlisle, Cumbria, for individually designed furniture.